Your support of the Michigan Good Food Charter encourages decision and policy makers to support the growing of healthy, green, fair, and affordable food across Michigan. Tell all of your friends, family, neighbors and co-workers to become supporters as well. Show your support by adding your name or business/agency name to the growing list of those who believe in the power of a vibrant, local food system to improve the personal health of our citizens and the financial health of our communities. Sign the Michigan Good Food Charter HERE! UPFE has been helping farms navigate the oblique waters of food safety since 2012. In 2014, UPFE facilitated a group as part of the USDA’s Group GAP pilot project. Below is a handful of documents that we’ve developed along the way. UPFE Food Safety Manual Template –This is the template given to farms in the UPFE network. It is an editable Word document. UPFE Food Safety Manual Template Log Sheets –These logs accompany the Food Safety Manual Template above. It is a series of editable Excel worksheets. GAPGHP Checklist with Manual References–This is a copy of the USDA’s GAP/GHP Audit Checklist with corresponding page numbers to the UPFE Food Safety Manual. This will help your audit go much more smoothly! GAP/GHP Handbook–This hulking volume explains each section of the GAP/GHP audit in detail. Click here for the most recent version. UPFE GAP Educators–This is a list of GAP Educators in the UP who can visit your farm and talk through food safety issues with you. Frost Free Hydrants–This is a PowerPoint presentation by MSU Extension educator Lyndon Kelley that discusses issues around using frost free hydrants in Michigan. 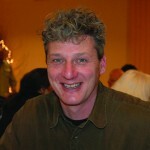 Ken Meter is an analyst who works to empower communities with tools they can use to create a more sustainable future. He was commissioned by UPFE in 2013 to characterize the state of the UP’s food system. The results are included below. Need A Local Food Speaker? Representatives from UPFE’s partner organizations would be happy to come to your community and share with you about U.P. food and agricultural-related topics. Browse the list of potential speakers and their respective areas of expertise. Then, get in touch to set up a time for us to visit your part of the U.P. Abbey Palmer grows food in Michigan’s Upper Peninsula. She is the Education Coordinator at MSU Extension North Farms, where she works to educate people of all ages about the benefits of choosing local food—and how to grow it themselves. Abbey is starting her own farm, and loves to eat good food in good company. Curriculum Development: Get Kids Gardening in School! Ashley was recently hired to serve as the Coordinator for the Upper Peninsula Research and Extension Center in Chatham. There she will serve as a liaison between campus faculty and center staff to conduct integrated crop and livestock research focusing on the improvement of soil health. 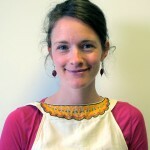 She will also serve as an Extension Educator in the Greening Michigan Institute in the area of Community Food Systems. Ashley previously worked for University of Idaho Extension as a natural resource educator and holds a B.A. in Political Science and Environmental Studies from Central College and an M.S. from Iowa State University in Environmental Science and Water Resources. Matt Gougeon is a passionate advocate for good food, sustainable agriculture, and growing the Upper Peninsula economy. Matt considers himself a “foodie”- but not in the sense of a “gourmand locavore”. He instead dedicates his work to creating awareness for everyone to not take our food supply for granted. He has been the General Manager of the Marquette Food Co-op since 2009 and sat on its Board of Directors for the five years previous. The Food Co-op operates as a grocery store, an educational resource, an economic developer, farm services coordinator, and a community crossroads surrounding all things food. Matt has overseen the transformation of a tiny member owned grocery store into a growing and thriving community owned business that specializes in organic, natural, and locally grown foods. The Marquette Food Co-op boasts consistent growth in both membership and sales during this recessive economy and Matt attributes that growth to the inherent advantages built into the cooperative business model. Since 2005 the Co-op has grown from less than 1 million dollars in sales to 6.9 million in 2014. In the same period the Co-op has nearly tripled its membership to top 3,800 citizens and opened a new store with triple the retail space of their previous store. Matt has lived in Marquette for eleven years and knows he has found home in our beautiful Upper Peninsula. 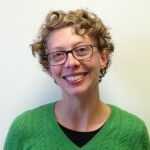 Michelle Walk is a Community Development Educator with Michigan State University Extension in the Eastern Upper Peninsula. Michelle has worked in the community development field for 19 years, including 9 years with MSU Extension. In her current role with MSU Extension she focuses primarily on business development related to tourism and local foods. 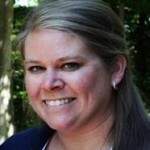 In addition, Michelle serves as an Innovation Counselor with the MSU Product Center. Michelle provides leadership and coordination for the Eastern Upper Peninsula Food Hub project and the Upper Peninsula Food Exchange. She has a B.S. in Economics from Oakland University and an M.A. in Economics from Michigan State University. No geographic limitations. Some programs may have a fee. Natasha Lantz is a community organizer, local food advocate, and farmer who is passionate about educating people to use food as their path to better living. Her past work experience led her to understand the complexities of relationship building across related but unconnected sectors. Her personal history growing up on a farm in rural Michigan led her to become co-owner and manager of Dancing Crane Farm, a small sustainable farm and teaching center located in Michigan’s Upper Peninsula from 2003-2011. During that same time period, Natasha started the Education and Outreach Department at the Marquette Food Co-op. 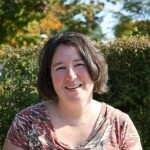 Much of her work with the Co-op has focused on educating decision makers, farmers, and the general public about the benefits of a healthy, sustainable local food economy. Natasha was instrumental in developing the U.P. Food & Farm Directory, initiating farm tours, and helping to organize farmers markets in Marquette and Alger Counties. Her local food efforts culminated in her role as the co-lead of the U.P. Food Exchange, an entity that serves as a resource portal for anyone seeking local food and farming information in Michigan’s Upper Peninsula. Natasha is actively participates in a variety of local, state, and federal groups focused on building vibrant, local food communities and economies. 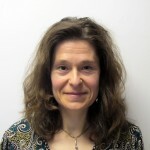 Her social work education and experience gives her the necessary skill set to connect people and organizations from varied economic and social strata around common sense ideas about food and agriculture and work together to eliminate the barriers that prevent people from connecting with their food. What is the Marquette Food Co-op All About, Really? Ray Sharp is the Manager of Community Planning and Preparedness at Western Upper Peninsula Health Department in Hancock, and a contact for information about the Western U.P. Food Hub. Ray earned a B.A. 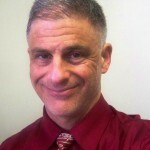 in Spanish from the University of Colorado and worked in education and journalism before moving to the U.P. in 1996 and becoming a public health planner. Much of his work over the last four years has focused on reducing rates of chronic disease and obesity through community initiatives – changes in policy, systems and the built environment – that promote access to healthy foods and daily physical activity. Ray is a certified trainer for the Michigan Complete Streets Institute, a coalition that backs policies for more bike- and pedestrian-friendly communities. In 2011, Sharp received a Michigan Hometown Health Hero award in recognition of his work with cities and schools on transportation policies that promote safety for all roadway users. Sarah Monte works at the Marquette Food Co-op as the Education Coordinator. Passionate about local food, Sarah organizes classes regarding food from farm to fork. Her specialty is teaching people how to find, purchase, and cook with local food. Previously the market manager for the Marquette Farmers Market, she is well versed on the seasonality of central U.P. grown food, and tailors her presentations to fit many ages and lifestyles. Sarah also works with farmers market managers to help them develop and promote their markets. She recently added experience as a market vendor, as she works with her partner and young daughter to create their own family farm. Why eat local, and where do I find it? The following links are ones that we believe you will find useful as you learn more about local food systems. Please let us know what other great sites we should link to.